Nationalism, National Identity and Movements begins by presenting an examination of how forced migratory movements, although seeming to question traditional national principles of the sovereign state as well as undermining or even eroding nationalist value systems, ended up strengthening the power of the nation-states during the period after the Second World War. In particular, it will investigate how different waves of refugees contributed to the consolidation of one specific type of nationalism: the ethnic one. Next, the authors analyse the role of national narratives in the development of national identity. This interdisciplinary approach offers a more complete and analytical understanding of how narratives of national identity are produced, transmitted and finally consumed by the members of a nation. Also in this book, detailed theoretical rationale for the relationships between identification and threat perceptions is presented, exploring the issues related to causal direction and links to attitudes toward immigrants and immigration policies. Although having a national identity on its own is not troubling, possessing an inflated sense of national identity, referred to as national group narcissism, may lead to biased perceptions of intergroup relations. Following this, the authors describe three different types of artworks and the identities associated with each artist in order to reveal the complex process through which Korean identity is formed. This research identifies the first type of artist as one who left South Korea as an adult in order to be deterritorialized from the given territory, and the individual’s Koreanness has been one rediscovered by dialectical play with the Other. Usage of the colonial discourse is proposed as a way to represent social relationships, providing additional opportunities for the analysis of the political situation in Russia. Thus, the work of contemporary intellectuals who identify themselves as “Russian nationalists” is analyzed. Conclusions are made regarding the fundamental conflictual nature of intellectuals. 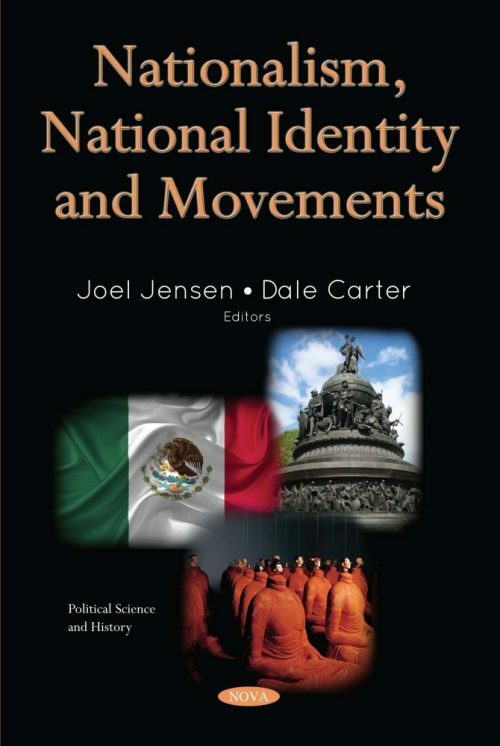 The construction of a unified Mexican national identity is depicted in the concluding chapter, in a territory originally divided by adversarial ethnic groups into one nation glued by a common language and history. The authors conclude that nationalism in Mexico must be understood within educational, historical and contextual influences to assess costs and benefits.